There's a new podcast in town ... or there will be in January 2019! And it's all about editing and writing for indie authors. Editing your book is essential, whether you do it yourself or work with a pro. This podcast will explore ways in which independent authors can make their publishing journeys easier. If you want to learn how to improve your writing and self-editing with tips, tools and guidance, The Editing Podcast is for you. Denise Cowle and Louise Harnby are your hosts. We thought it would be fun to have two of us talking with each other rather than one of us talk at you. Plus, we have different but complementary specialist experience, which means we can cover more topics with authority. ​Why should you bother listening? Because we really do know what we're talking about! We're experienced professional editors who've edited millions of words in fiction and non-fiction. We're Advanced Professional Members of the Society for Editors and Proofreaders. We're champions of independent publishing, although we both have extensive experience of working with mainstream publishers too. We provide training for fellow editors to help them improve their skills and grow their editorial businesses. We have a lot in common! Having said that, our editing passions have gone in different directions. Denise is a non-fiction editor while Louise is a fiction specialist. 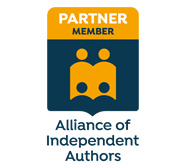 That means we can ensure the episodes are balanced, and of value to indie authors regardless of subject or genre. Zombie rules: why what you were taught at school isn’t necessarily best for your writing. When and how often will we air? Season 1 of The Editing Podcast will air weekly from January 2019. Each season will include 10 standalone episodes of complementary topics. That means you can listen to them when you want and in the order of your choosing. You'll be able to access the podcast via Apple Podcasts, Spotify, YouTube, our Libsyn podcast page, and both our websites. We’re really looking forward to making your writing and editing life easier! To stay in the loop, visit The Editing Podcast’s Facebook page and subscribe to our YouTube channel. And if there's a problem you'd like us to solve on the podcast, get in touch.